It is often said that Bordeaux is the little Paris. We benefit from a majestic and typically regional architecture with blond stones. The historic centre of Bordeaux is a real nugget of 18th century French architecture, so when you stay there you like to be close to these sumptuous buildings and charming alleys. That is why Villa Victor Louis has settled near the golden triangle. 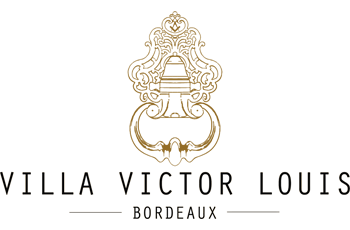 Like all luxury establishments, the Villa Victor Louis guest room offers top-of-the-range services. The quality of our staff is very often highlighted by the hosts. Indeed, the team is warm, friendly, attentive and very helpful, they always give a pleasant welcome to their guests. Breakfast is also often popular because it is complete and varied. Composed mainly of local and organic products and very well stocked, this breakfast is a real treat for the eyes and taste buds! The straightforward design from the 18th century makes this place unique, full of charm and character. When you go to Villa Victor Louis you can be assured of an unforgettable experience that you will not experience anywhere else. Thanks to its unique personality and decoration, this place makes a lasting impression. In short, our high standing guest room is a place that brings together all the characteristics of French luxury: know-how, know-how, luxury, precision, elegance and love of art, which makes it a very judicious choice when you want to stay and experience the beautiful sleepiness. The garden and the terrace are as pleasant in summer as in winter and are a real plus of this top-of-the-range guest room. Few hotels, boutique hotels, or guest rooms as close to the golden triangle have them. This secret garden is soothing and quiet, it is possible to rest and have a snack or breakfast in summer or winter.